Yes, these are the CD’s you think they are. 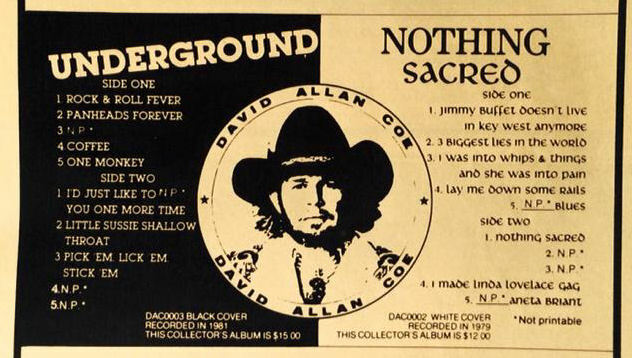 In the 1980’s you could buy the Nothing Sacred & Underground Record’s through mail order, from ads in Easy Rider magazines. You just fill out the form and send your check or money order to a PO Box in California, wait 4-6 weeks and they come in your mail box. In the 1990’s you could only get these CD’s at live shows, whenever David came to town to do a concert. His road manager would set up a table somewhere by the door and sell the adult records for big bucks to the fans. Nowadays you can order these albums as CD’s and MP3 downloads and get them instantly online. Today you can order them through mail order at great prices along with many other David Allan Coe CDs. Today fans can even order the DVD called “The Lost Midnight Blue Interview“. It was the only recording made that showed David singing the X songs and talking about them in detail. 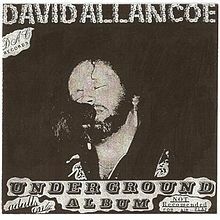 The eleventh studio album by American country musician David Allan Coe. 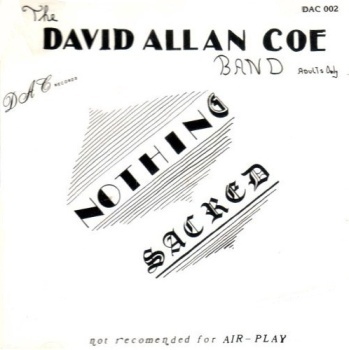 Released in 1978, Nothing Sacred was noted for its profane and sexually explicit lyrics and was published solely by mail order. Released as a mail order album, not sold in stores, only through the back pages of the motorcycling magazine Easyriders and in the concession stand at his shows.